A Federal High Court in Lagos has been urged to commit the Inspector General of Police, Mr. Ogbonnaya Onovo, to prison for disobeying five court orders directing that he should provide adequate security to the Receiver/Manager appointed by Finbank Plc to take over Erhiatake Property Development Company Ltd and Aquitane Oil and Gas Ltd. In a Form 49 Order 9, Rule 13 of the Federal High Court civil procedure obtained by THISDAY, the plaintiffs are asking Onovo to show cause why an order of committal should not be made against him for disobeying court orders. Two different courts had in five different ex-parte applications ordered Onovo and his men to assist Chief Ajibola Aribisala (SAN) who was appointed by Finbank Plc as the Receiver/ Manager in securing the assets, property and undertakings of Erhiatake Property Development Company Ltd and Aquitane Oil and Gas Ltd seized from its owner, Mr Ikechuchwu Okolo, over a loan of N8.2billion owed the bank. In prayer two of the orders, the courts had directed the receiver/ manager to take steps as may be necessary to recover the assets of the company in receivership with a view to liquidating all outstanding debts owed Finbank Plc. In an affidavit in support of Form 49, sworn to by Olakekan Tella, Aribisala chronicled how the IG disobeyed the orders of the court and said upon the enrolment of the orders, the Deputy Chief Registrar of the court, Mrs. F.O.G Ogunbanjo, issued necessary request to the police, requesting for assistance for the bailiffs in the execution of the orders of the court. He said apart from the special request made to the police by Finbank Plc, the bank's solicitors, A.O.S Practice, also wrote in a similar manner, seeking for police compliance in respect of the court orders. The receiver/manager noted that all the letters and orders were forwarded to the police boss and necessary approval for police assistance was subsequently issued vide a letter dated October 12, 2009 which was signed by DCP Augustina N. Ihesiaba and addressed to Assistant Inspector General (AIG), Zone II. He stated that upon the receipt of Onovo's instruction, the AIG, Zone II, Mr. M. D. Abubakar, issued necessary instructions for the immediate execution of the orders and also that policemen should be posted to the various locations to guard the assets. 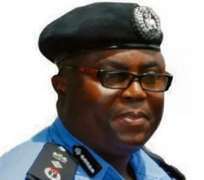 He, however, said barely five days after he took over the property, the IG in connivance with the defendants withdrew the police officers stationed at the premises without recourse to or any form of consultation with the receiver/manager, thereby frustrating the orders of the court. He said the IG by the act assisted the defendants and their agents to forcefully enter and take adverse possession of the property contrary to the express orders of the court, and that till date, the defendants and their agents with the assistance and backing of Onovo, are still holding to the premises and denying the receiver/manager access notwithstanding the prior orders of the courts. He said when he made further enquiries from the AIG, Zone II, he replied that the order was from above. Aribisala said the fact of his disobedience had been brought before the two courts. He said one of the judges, Justice Mohammed Liman, issued fresh orders that Forms 48 and 49 be served on the IG.